Platinum Pied Pipers Cast No. 2! KCRW, The Echoplex, LA Weekly, and ArtDontSleep, are sponsoring an upcoming show featuring Platinum Pied Pipers Cast No. 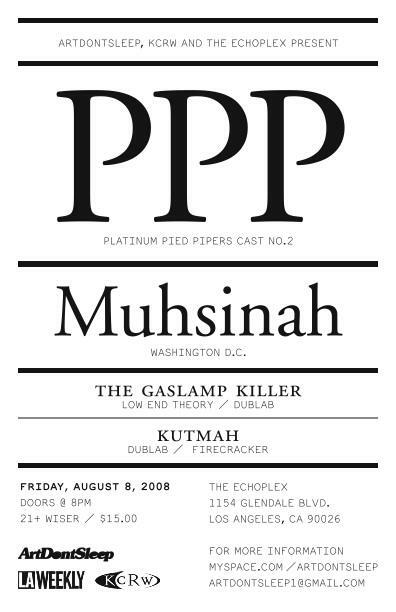 2, Muhsinah, Kutmah, and Gaslamp Killer. 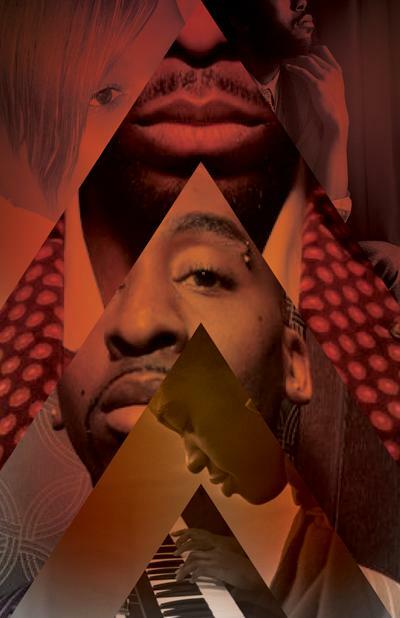 PPP returns, after the duoâ€™s second album release, â€œwith a new mash up of vintage and modern influences, including pop, house, funk and Detroit techno.â€ The show will go down on August 8th at the Echoplex in LA. Presale tickets are available, and you must be 21 to attend.